Harold (Mick) Postel age 81, died Saturday, July 1, 2017 at Jones Regional Medical Center following a brief illness. Funeral services was held 1:00 Saturday afternoon, July 8, 2017 at St. John Lutheran Church rural Monticello, with interment in the St. John Cemetery. Rev. Tim Eckert officiated at the services. Friends may call after 11:30 at the church. Goettsch Funeral Home, Monticello is caring for Harold's family and services. Thoughts, Memories and Condolences may be left at www.goettschonline.com. Surviving is his wife, Joan, 2 children, Bradford (Pam) Postel, Jill (Terry) Kennebeck, 8 grandchildren, 4 great-grandchildren, and siblings, Joyce Roberson, Helen (Dave) Martin, Ruth (Ken) Payne, Janet Isaacson, William (Diane) Postel, and Judy (Randy) Dumond. He was preceded in death by his parents. Harold Frederick Postel was born July 25, 1935 at Monticello, Iowa. He was the son of Merle and Gertrude Monk, Postel. Harold was born deaf and attended the Iowa School for the Deaf in Council Bluffs. This where he met his future wife Joan Eden. The couple married on November 17, 1955. They lived in Anamosa where Harold was a finish carpenter for several different construction companies. He loved making things out of wood, he loved Iowa Hawkeye Football and he loved his family. 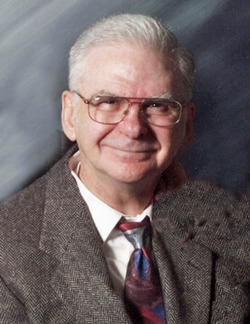 Harold was a member of Word of God Lutheran Church for the Deaf in Cedar Rapids. The family would like to thank the staff at Woodland Park and the Anamosa Care Center for the care that was given to Harold while he lived there. Thanks to Goettsch Funeral Homes, Anamosa, Iowa and many friends for the information.